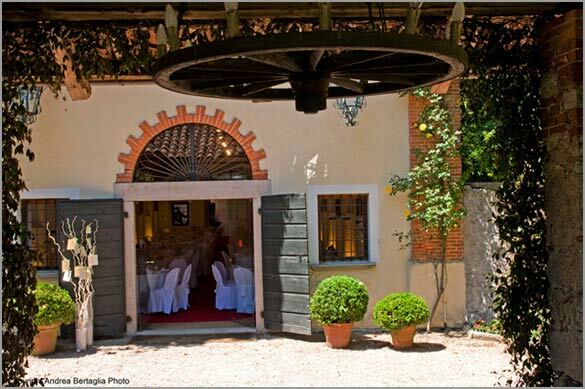 In our posts we often talk you about wedding venues located in Langhe or Monferrato, on Southern Piemonte. These two regions are appreciated for good food and great wines but this time we would love to moving North to introduce an wonderful area too, right in the nature and close to great scenarios of Lake Maggiore the second bigger Italian Lake. 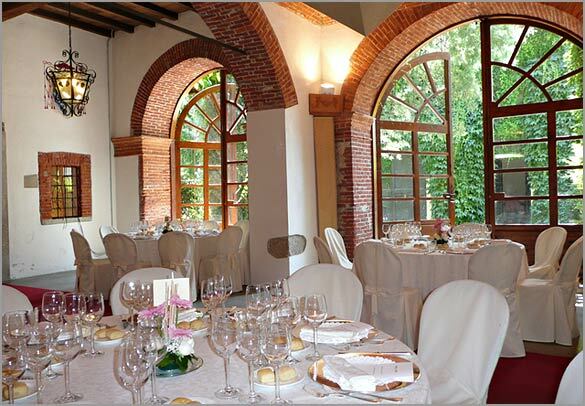 We would like to introduce a special and unique country venue just to discover: Abbazia di Santo Spirito. Abbazia di Santo Spirito – Villa Giannone is located in Cominago a very little town close to Arona – Lake Maggiore, just where smooth Novara hills go towards the lake. The territory of Novara hills is a tiny mesopotamia divided by 2 rivers: Sesia which comes down from Mt. Rose and Ticino which originates Lake Maggiore and goes on up to bigger Po river. Just like Langhe and Monferrato this is a land of great red wines. Wine producing started at the times of ancient Romans: Gemme, Fara, Boca, Spanna-Nebbiolo are the most known. It is just in this contest of wide spaces and a mild microclimate that Abbazia di Santo Spirito – Villa Giannone is located. 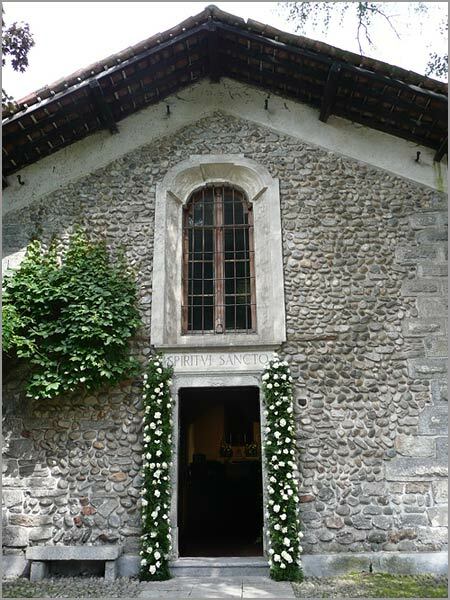 One of the main feature of Abbazia di Santo Spirito – Villa Giannone is that it is the only venue in Piemonte and Lombardy region that has a private chapel inside the venue itself. 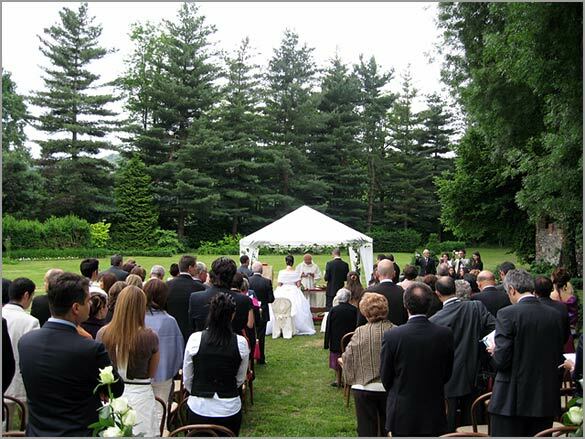 The romantic chapel can host your legal religious ceremony but the ceremony can be held also outdoors in the lovely garden. 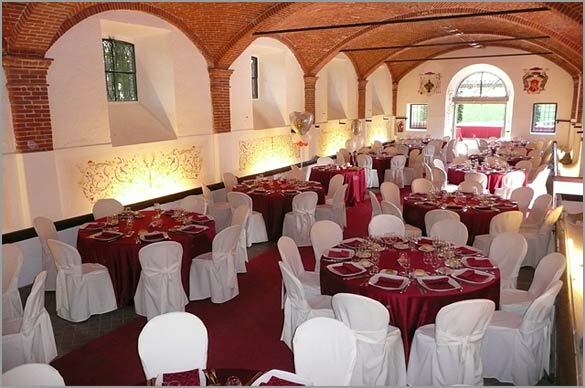 Your reception can be hosted in the garden too or inside the ancient armory with arches that can seat up to 180 guests. And let’s not forget how close the Abbazia is to Milano Malpensa airport! Once you go inside the Abbazia you will breath the atmosphere of ancient times. The building was edified in mid 1200 by Humiliated Monks who used to farm and wool weaving. At that time the tower was built and this is the real symbol of the Abbazia. During centuries Abbazia had several owners that changed this convent in a luxury court with horses and dogs for hunting. At the end of 1700 Abbazia was acquired by Giannone family who is still the actual owner. 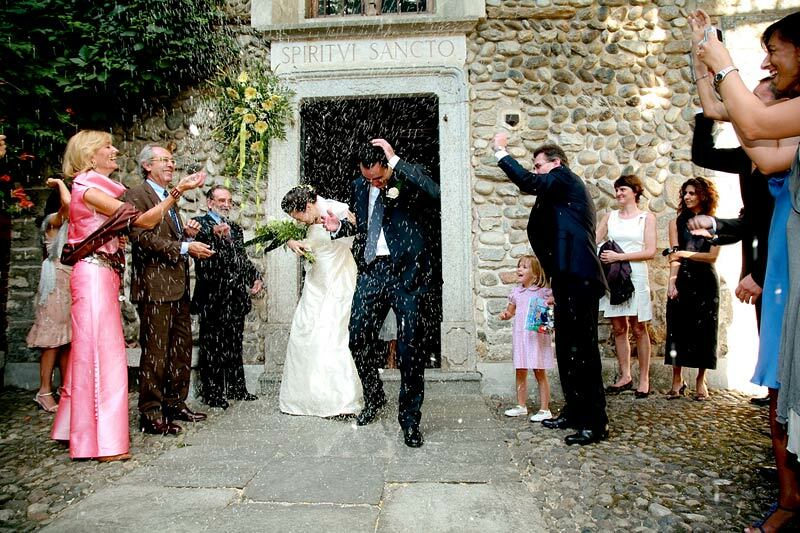 The Abbazia now is a wonderful venue for elegant country weddings. 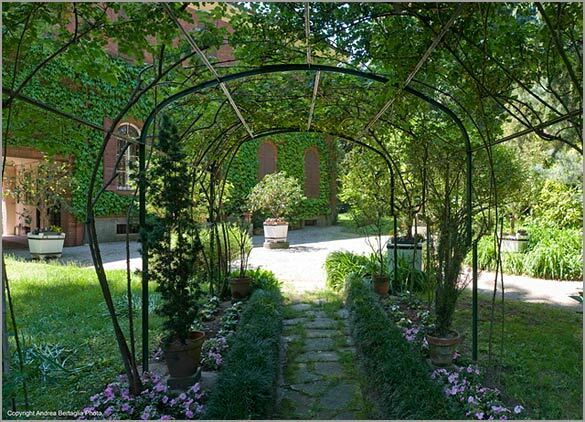 Abbazia di Santo Spirito – Villa Giannone is surrounded by a wide park with secular trees and blooming areas. 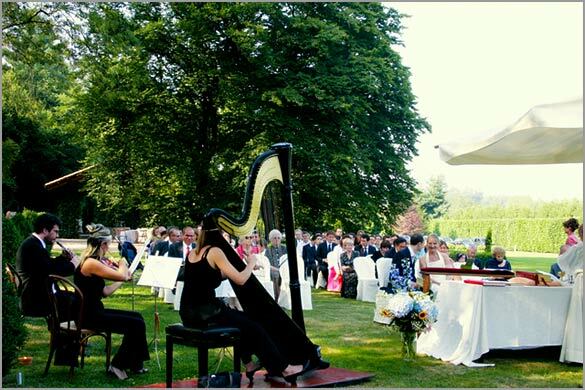 The venue faces a lawn where you could celebrate your outdoor religious ceremony in the nature, such an enchanting atmosphere! At the end of the park there is a rustic portico with stone columns with scented jasmines on. 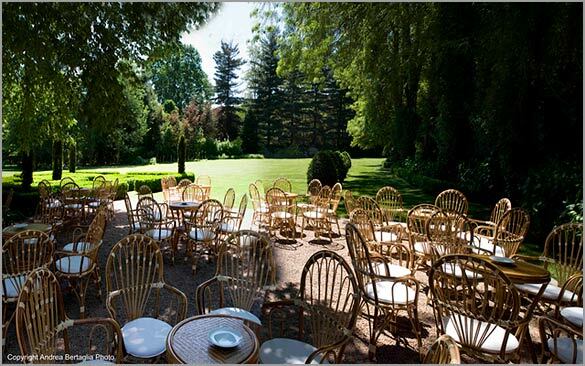 It could be the perfect place for your buffet aperitif. 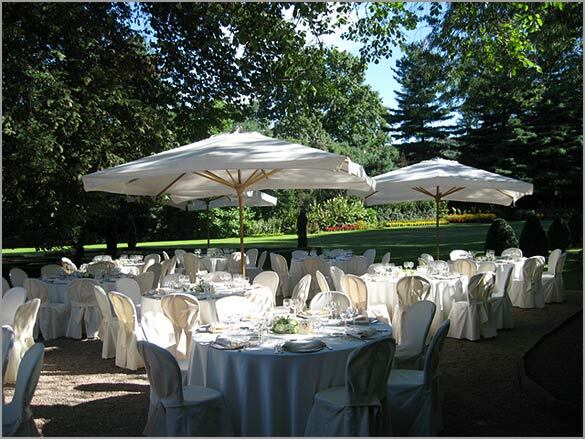 Over here you can also arrange lovely garden furniture or even tables and chars for your outdoor wedding meal. From the park you can reach the reception room directly. It can host up to 180 guests and it is embellished with frescos and brick arches. The room appears like an ancient armory a real masterpiece of architecture. And it is not over! 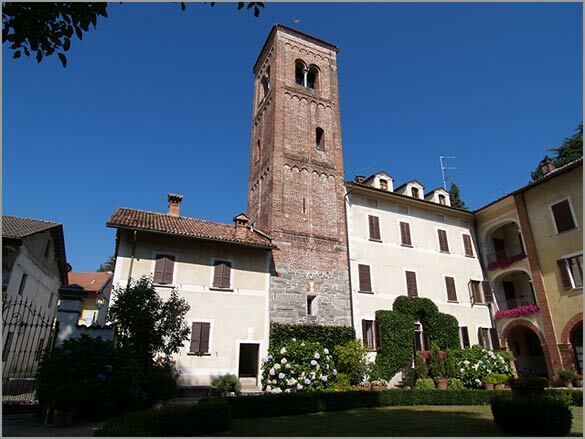 Abbazia has other surprises for you: the Corte Antica. It is a special area of the venue which is specially reserved to bride and groom and their wedding pictures. 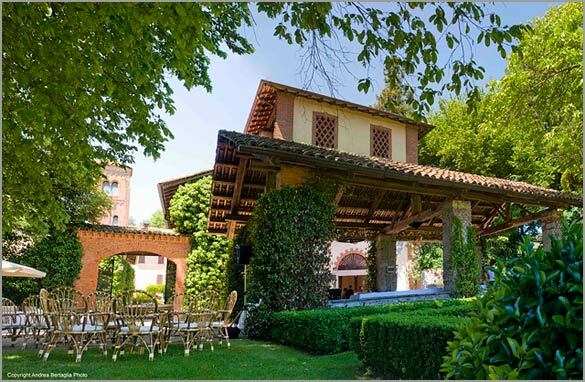 Corte Antica is a lovely portico with a pretty and stylish Italian garden enriched by a roses pergola, lemon trees and other secular trees. If for your wedding you are dreaming a coutry setting in an authentic Italian Abbazia (Convent) of 1200 right in the nature and close to great landscapes of Lake Maggiore, Abbazia di Santo Spirito will be the ideal venue for your big day, the one you’ve always dreamed of. 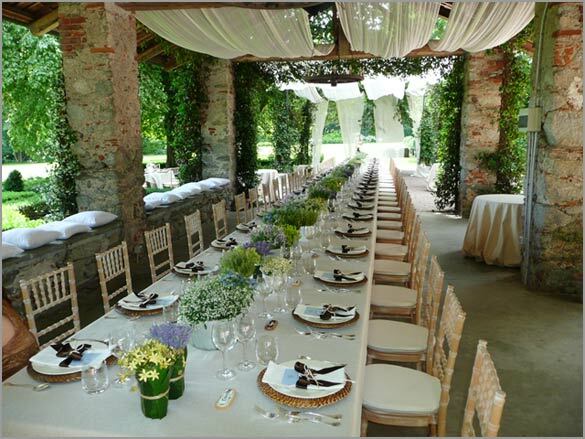 For further information on a Wedding to Abbazia di Santo Spirito – Villa Giannone please contact Italian Country Wedding Team.